The Pew-Templeton Global Religious Futures project analyzes religious change and its impact on societies around the world. This interactive website is still in development; over time, it will grow to include additional data from the Pew Research Center’s demographic studies and public opinion surveys in many more countries. Additional functionality for exploring and sharing the data will be made available as well. We welcome your feedback and suggestions. Please e-mail us at web@pewforum.org. In the United States, religious congregations have been graying for decades, and young adults are now much less religious than their elders. 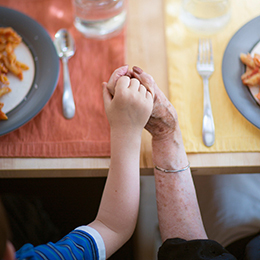 Recent surveys have found that younger adults are far less likely than older generations to identify with a religion, believe in God or engage in a variety of religious practices. Muslims are projected to increase as a share of Europe’s population – even with no future migration. 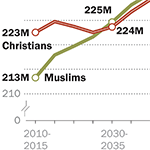 To see how the size of Europe’s Muslim population may change in the coming decades, Pew Research Center has modeled three scenarios that vary depending on future levels of migration. 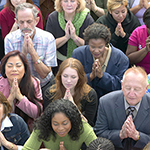 This report analyzes religious change and its impact on societies around the world. The demographic projections are based on the current size and geographic distribution of the world’s major religions, as well as age differences, fertility and mortality rates, international migration and patterns in conversion. 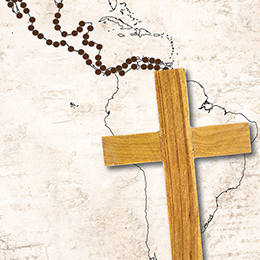 Nearly 40% of the world's Catholics live in Latin America, but many people in the region have converted from Catholicism to Protestantism, while some have left organized religion altogether. Pew Research’s fourth major report on global restrictions on religion finds that the Middle East and North Africa continued to have the highest levels of restrictions in the year when much of the Arab Spring uprisings occurred, with social hostilities involving religion increasing markedly and government restrictions remaining high. A country-by-country analysis of data from more than 2,500 censuses, surveys and population registers finds that 84% of adults and children around the globe are religiously affiliated. Between mid-2009 and mid-2010, religious restrictions rose not only in countries that began the year with high or very high restrictions, such as Indonesia and Nigeria, but also in many countries that began with low or moderate restrictions, such as Switzerland and the United States. The world's Muslims are united in their belief in God and the Prophet Muhammad and are bound together by such religious practices as fasting during Ramadan and almsgiving to assist the needy. But they have widely differing views about other aspects of their faith, including how important religion is to their lives, who counts as a Muslim and what practices are acceptable in Islam. A comprehensive demographic study finds that there are 2.2 billion Christians of all ages around the world, representing nearly a third of the estimated 2010 global population of 6.9 billion. Christians are also geographically widespread, and no single region can indisputably claim to be the center of global Christianity. Restrictions on religious beliefs and practices rose in 23 of the world's 198 countries (12%), decreased in 12 countries (6%) and remained essentially unchanged in 163 countries (82%) between mid-2006 and mid-2009. More than 2.2 billion people – nearly a third of the world's population – live in the 23 countries with increasing government restrictions or social hostilities involving religion. This comprehensive demographic study seeks to provide up-to-date estimates of the number of Muslims around the world in 2010 and to project the growth of the Muslim population from 2010 to 2030. The report also illustrates past trends for several measures by providing data from 1990 to 2010. 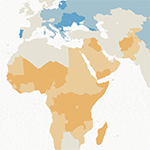 A 19-country survey by the Pew Forum reveals that the vast majority of people in many sub-Saharan African nations are deeply committed to Christianity or Islam, and yet many continue to practice elements of traditional African religions. This report gauges the level of religious restrictions in 198 countries due both to government actions and to acts of violence and intimidation by private individuals, organizations and social groups. A comprehensive demographic study of more than 200 countries finds that there are 1.6 billion Muslims of all ages living in the world today, representing 23% of an estimated 2009 world population of 6.8 billion. This survey explores Pentecostalism and related charismatic movements, which represent one of the fastest-growing segments of global Christianity.